To travel is my absolute passion. I wish I had more leave days and a bigger budget of course but I try to travel as much as possible. My desire grew more when I studied in San Diego, California for a while. It was like living a dream. Even the university lectures were pure fun and I loved every second of living in California and discovering this totally different lifestyle. To me there is almost no better way spending my money on than for traveling. "Travel is the only thing you buy that makes you richer." This is so true! What is on your travel bucket list? Let me know! • Beverly Hills: Stroll along Rodeo Drive CHECK! • Key West: Stand on the southernmost point in the continental United States CHECK! • Las Vegas: Review a Las Vegas Show CHECK! • Los Angeles: Spend a day celeb-spotting CHECK! • Miami: Hit up South Beach CHECK! • New York City: Visit filming locations in the world’s biggest city for pop culture CHECK! • Orlando: Spent a day in the Universal Studios CHECK! • San Diego: Spent the night at a bonfire CHECK! • San Francisco: Fly with a helicopter under the Golden Gate Bridge CHECK! • Waikiki Beach: Splash in the waves at Waikiki beach in Honolulu CHECK! • Amsterdam: Explore the city canals CHECK! • Algarve: Find Portugals most beautiful cliffs CHECK! • Barcelona: Go on a tapas crawl CHECK! • Copenhagen: Be introduced to Scandinavian culture CHECK! • Florence: Eat Gelati for breakfast, lunch and dinner CHECK! • Ibiza: Buy jewelry at a Hippie Market CHECK! • Istanbul: Wander the Grand Bazaar CHECK! • London: Jump on board a red double decker bus tour CHECK! • Paris: Just be in Paris CHECK! • Prague: Find and eat the best Trdelnik CHECK! • Venice: Go on a Gondola ride, of course! CHECK! • Vienna: Attend the Viennese Opera CHECK! 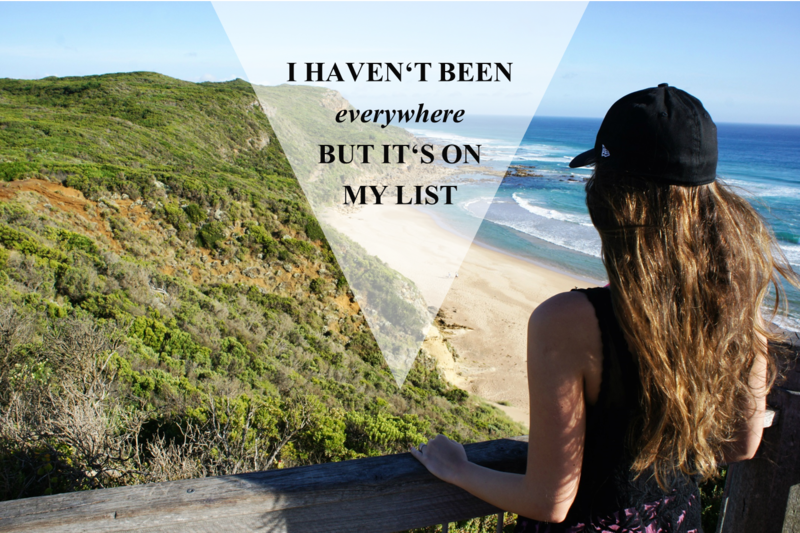 Such a lovely bucketlist, I really enjoyed reading this post!